Adis says: Well, that's simply a preview from today's No Room For Magic! 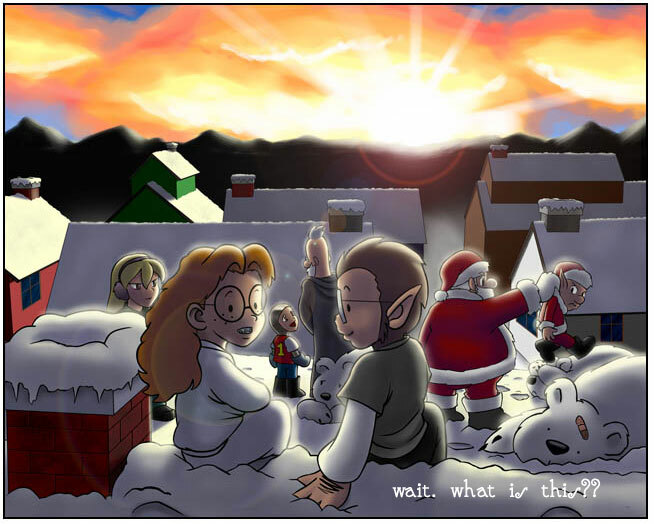 It's the ending of the Christmas storyline, which derailed my plans for the comic a lot. But now it's over, and we're turning a new leaf! Hawk is staying on as the artist, with me on the writing end, while I focus on CYS and The Wisdom of Moo. So, the good news is, I'll try to take back NRFM to its former glory!